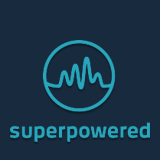 Can Superpowered handle midi events? Do you have a midi synth function or supporting that? Do you have a noise reduction algorithm in your SDK? Do you offer video streaming? How can I generate a sine wave?